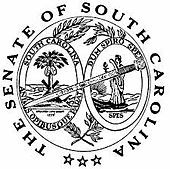 COLUMBIA, SC– On March 28, the Senate Finance Committee recommended increased funding for several critical programs that impact students attending independent colleges and universities. First and foremost, the budget panel recommended that both the need-based Tuition Grants program and the CHE need-based grants program receive an additional $1.3 million each. Depending on the number of grants awarded and if the House concurs with the Senate’s recommendations, the maximum Tuition Grant could increase from $3,200 this year to $3,300 or even $3,400 beginning in August. Second, the committee recommended that the merit scholarship programs (Palmetto Fellows, LIFE, HOPE, and Tuition Assistance) receive full funding. Because the Department of Education changed the high school grading scale from a 7 point to a 10 point scale beginning with the 2016 school year, the Finance Committee was challenged to find an additional $29 million to fund normal growth plus an estimated 2,400 additional students who could qualify for merit scholarships in 2017. Under the Senate proposed budget, the amount of student financial aid for FY 2017-18 approaches more than $410 million. PASCAL, the academic library consortium for public and private colleges and universities, was added back to the budget in an amount of $1.5 million. Public 4-year and 2-year colleges and universities will receive approximately $16 million in new funding under the Senate plan. The Finance Committee’s higher education recommendations differ dramatically from the budget passed by the House. Other than funding merit scholarships, the House did not increase funding for public colleges and universities or for SCICU priority programs. The Senate Finance Committee’s budget recommendations puts programs for students at private non-profit colleges back in the budget game. The Senate adopted the budget panel’s higher education recommendations on April 6. Differences between the Senate version and House version will go to a Conference Committee composed of three members from each chamber. Once the chambers agree on a budget, it will be sent to Governor McMaster for his consideration. In the Conference Committee, the independent college interests will be for the Senate conferees to prevail with the Senate version of the higher education budget. We will be calling on our advocates for some assistance once the conferees are named.